Internet shutdowns go beyond Syria. On May 7 at 3 p.m., for the second time in six months, Syria’s connection to the global Internet was severed. Web traffic in and out of Syria dropped to zero, according to several monitoring companies and the Google traffic report. The Syrian government attributed the outage to a cut cable, but analysis by some security experts suggested a coordinated effort by the Syrian government similar to a previous 48-hour outage in November 2012. Amid Syria’s mounting crisis, with 70,000 dead, upward of 1 million refugees, alleged use of chemical weapons, and recent Israeli airstrikes, 19 hours of network downtime may seem like a relatively minor matter. But the information blackout that results has real costs. And although total shutdowns, like in Syria and in Egypt at the height of the revolution, are the stories that capture headlines, targeted shutdowns of communications networks appear to be a government option of increasingly popular resort, for responding to revolutions, elections, riots, protests, or terrorism. The right to freedom of expression is universal but not unlimited. While few would argue against curtailing communications in the case of a direct, immediate, and irreparable threat to life or limb, international human rights law offers strict conditions that must be met when freedom of expression is restricted, including tests of necessity and proportionality. 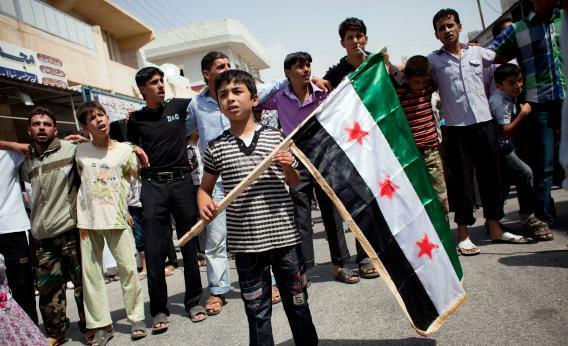 As an active conflict, Syria’s communications blackout has particularly severe consequences. For civilian populations, loss of connectivity inhibits their ability to connect with loved ones, reach emergency services, and, even amid civil war, engage in economic activity. With Syrian Internet penetration rates at less than 20 percent as of 2011, Internet access may be relatively less critical than mobile networks. However, for the increasing portion of the Syrian population now living outside the country’s borders, being unable to instant message with friends and family put at risk by the conflict is a serious matter. In the context of the wider information blackout that has accompanied the Syrian conflict, Internet shutdowns take on even greater significance as a means of media control. Twenty-eight journalists were killed in Syria during 2012 according to the Committee to Protect Journalists, the most of anywhere in the world that year. With severe restrictions on the media, especially TV and radio broadcasters, the the Internet becomes an even more important communications medium, especially as citizen journalists provide information about the conflict through YouTube videos and Facebook updates. With prior networks shutdowns associated with specific military offenses, there is ample reason to think that the government could trying to prevent information about its own activities from getting out of the country, or to cutoff communications by rebel groups, which have posted information about alleged chemical weapons attacks by the government on the Web. Government ability to shutter networks varies depending on the diversity of Internet infrastructure. In Syria, the government appears to have been able to turn off Internet access unilaterally, through the government-controlled Syrian Telecommunications Establishment. In other cases the companies that operate networks under license are dependent on state-controlled infrastructure and vulnerable to being compelled to go along with shutdowns. Most network shutdowns do not occur in war zones, but instead are intended to address security concerns. This includes political uprisings, from Burma’s quashed 2007 Saffron Revolution to Tahrir Square in 2011, as well as the ethnic riots and unrest in China’s Xinjiang province that led to the complete cutoff of Internet and telephone networks in the Province for 10 months following riots in July 2009. Aside from total communications blackouts, both authoritarian and democratic governments have used other targeted measures to restrict communications. In September 2010, riots over food prices in Mozambique caused the government to order mobile providers to shut down SMS messages. In the United States, observers on social media reacted with surprise to initial reports that local networks were shuttered in the immediate wake of the Boston bombings due to the threat of mobile detonations. Although this report turned out to be inaccurate, network shutdowns have become a regular feature of life in Pakistan, where mobile-operated bombs are frequently cited as a justification for shutdowns on religious holidays and in restive provinces such as Baluchistan. The United States also has direct experience with wireless shutdowns from August 2011 when the Bay Area Rapid Transit Authority shut down mobile service in several underground stations in response to planned protests, prompting a major outcry, eventually leading the FCC to open an inquiry on the topic. No matter the motivations, network shutdowns aren’t going away. But we can demand greater transparency from governments who decide to throw the “kill switch” and ensure accountability when due process is not followed. Syria’s information blackout captured the world’s attention. It’s time to make sure other shutdowns do not go unnoticed.